The world's oceans are facing a bleak future, say marine scientists, unless we rebuild its abundance, variety and vitality. 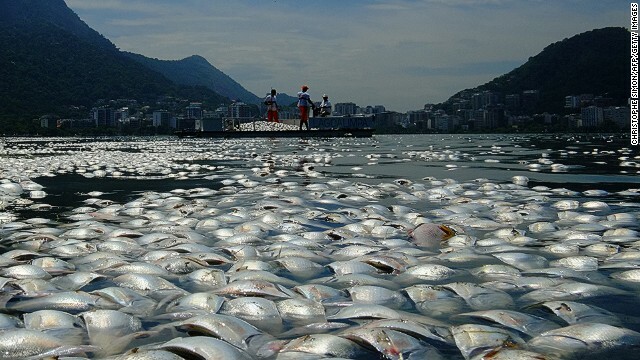 Tons of dead fish float on the waters of the Rodrigo de Freitas lagoon, beside the Corcovado mountain in Rio de Janeiro, Brazil. Threats from pollution, overfishing and climate change are putting marine life under immense strain. Oceans are home to 90% of the living volume of the planet and contain more than one million species, ranging from the largest animal on the planet -- the blue whale (pictured) -- to one of the weirdest -- the blobfish. Upwards of one million sea turtles were estimated to have been killed as bycatch during the period 1990-2008, according to a report published in Conservation Letters in 2010, and many of the species are on the IUCN's list of threatened species. "The two worst things in my mind happening to oceans are global warming and ocean acidification," says Ron O'Dor, professor of marine biology at Dalhousie University in Halifax, Canada. "They're going to have terrible effects on coral reefs. Because of acidification essentially, the coral can't grow and it's going to dissolve away." Currents estimates suggest 30% of coral reefs will be endangered by 2050, says O'Dor. 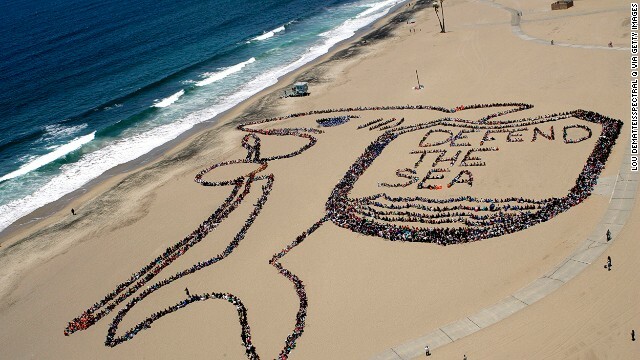 Los Angeles, June 2012: More than 5,000 children, teachers and volunteers form a massive kid-designed shark and shield on World Oceans Day. This year's event takes place on June 8. Overfishing has been going on for decades, say marine scientists. Tens of thousands of bluefin tuna were caught every year in the North Sea in the 1930s and 1940s. Today, they have disappeared across the seas of Northern Europe. 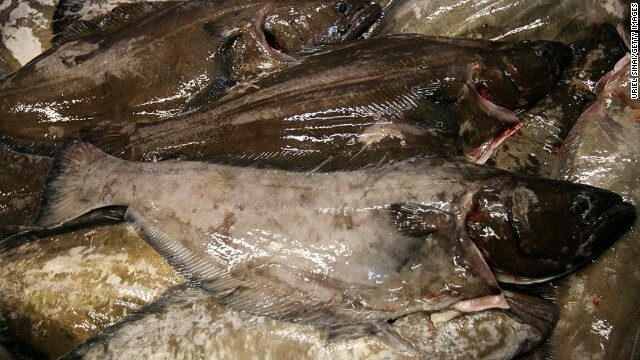 Halibut (pictured) has suffered a similar fate, largely vanishing from the North Atlantic in the 19th century. "(Bottom trawling is) akin to someone plowing up a wildflower meadow, just because they can," says Callum Roberts, marine biologist at the UK's York University. Others have compared it to the deforestation of tropical rainforests. Bottom-trawling's knock-on impacts are best illustrated by the plight of the deep-sea fish, the orange roughy (also known as slimeheads). 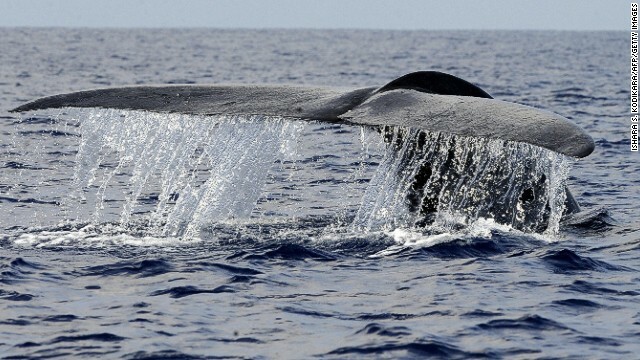 Populations have been reduced by more than 90%, according to marine scientists. (CNN) -- As the human footprint has spread, the remaining wildernesses on our planet have retreated. However, dive just a few meters below the ocean surface and you will enter a world where humans very rarely venture. In many ways, it is the forgotten world on Earth. A ridiculous thought when you consider that oceans make up 90% of the living volume of the planet and are home to more than one million species, ranging from the largest animal on the planet -- the blue whale -- to one of the weirdest -- the blobfish. Remoteness, however, has not left the oceans and their inhabitants unaffected by humans, with overfishing, climate change and pollution destabilizing marine environments across the world. Many marine scientists consider overfishing to be the greatest of these threats. The Census of Marine Life, a decade-long international survey of ocean life completed in 2010, estimated that 90% of the big fish had disappeared from the world's oceans, victims primarily of overfishing. 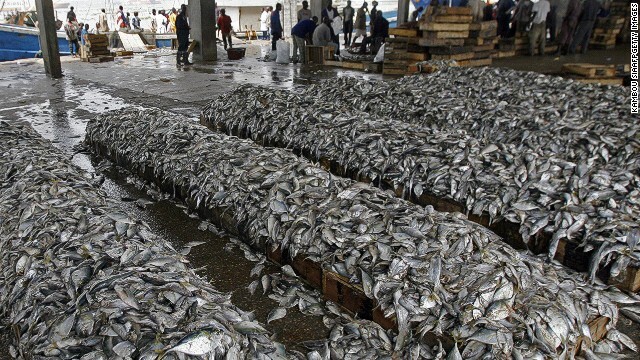 In some cases, the collapse has spread to entire fisheries. The remaining fishing trawlers in the Irish Sea, for example, bring back nothing more than prawns and scallops, says marine biologist Callum Roberts, from the UK's York University. 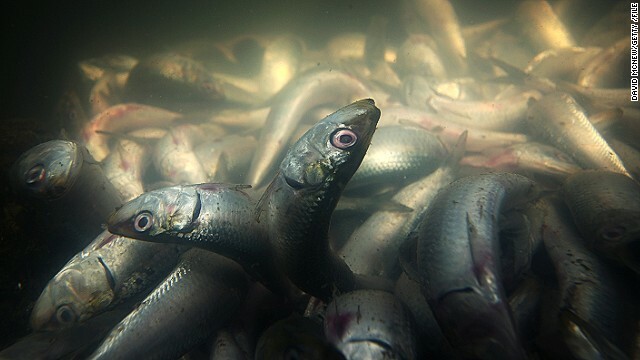 "Is a smear of protein the sort of marine environment we want or need? No, we need one with a variety of species, that is going to be more resistant to the conditions we can expect from climate change," Roberts said. The situation is even worse in Southeast Asia. In Indonesia, people are now fishing for juvenile fish and protein that they can grind into fishmeal and use as feed for coastal prawn farms. "It's heading towards an end game," laments Roberts. Marine conservationists compare it to a bulldozer, with the nets pulled for as far as 20km, picking up turtles, coral and anything else in their path. The bycatch, unwanted fish and other ocean life thrown back into the sea, can amount to as much as 90% of a trawl's total catch. 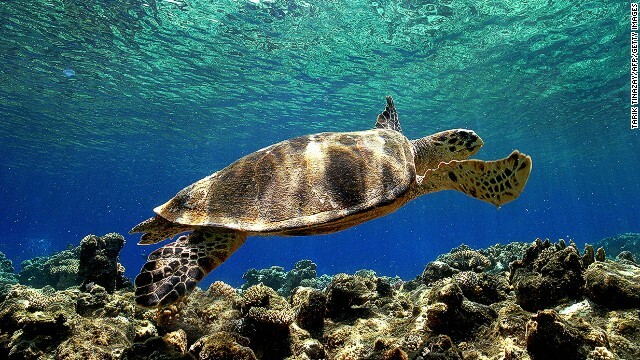 Upwards of one million sea turtles were estimated to have been killed as by catch during the period 1990-2008, according to a report published in Conservation Letters in 2010, and many of the species are on the IUCN's list of threatened species. 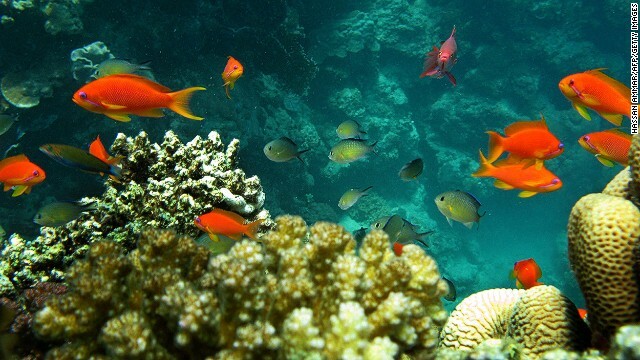 Campaigners, with the support of marine scientists, have repeatedly tried to persuade countries to agree to an international ban, arguing that the indiscriminate nature of bottom-trawling is causing irreversible damage to coral reefs and slow-growing fish species, which can take decades to reach maturity and are therefore slow to replenish their numbers. "It's akin to someone plowing up a wildflower meadow, just because they can," says Roberts. Others have compared it to the deforestation of tropical rainforests. 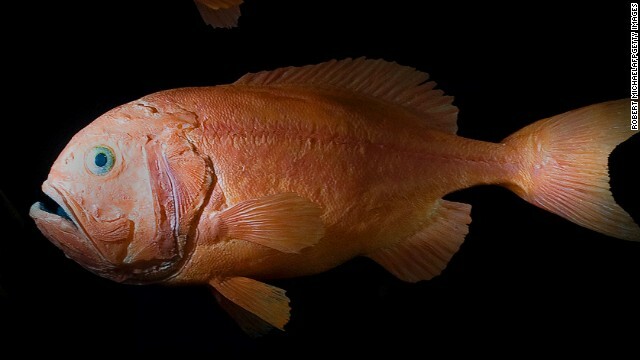 Bottom-trawling's knock-on impacts are best illustrated by the plight of the deep-sea fish, the orange roughy (also known as slimeheads) whose populations have been reduced by more than 90%, according to marine scientists. Orange roughys are found on, or around, mineral-rich seamounts that often form coral and act as feeding and spawning hubs for a variety of marine life. "Anywhere you go and try to harvest fish with a trawl you are going to destroy any coral that lives there, and there is example after example of the damage that is done by trawlers," says Ron O'Dor, a senior scientist on the Census of Marine Life. "If I ruled the world, they would be banned, they're just such a destructive method of catching fish. Fishermen have other methods, such as long-line, that cause far less damage. "The disturbing truth is that humans are having unrecognized impacts on every part of the ocean, and there is much we have not seen that will disappear before we ever get a chance," says O'Dor, who is also a professor of marine biology at Dalhousie University in Halifax, Canada. At the same time fisheries and vital marine ecosystems like coral are being decimated, the oceans continue to provide vital services, absorbing up to one third of human carbon dioxide emissions while producing 50% of all the oxygen we breathe. But absorbing increasing quantities of carbon dioxide (CO2) has come at a cost, increasing the acidity of the water. 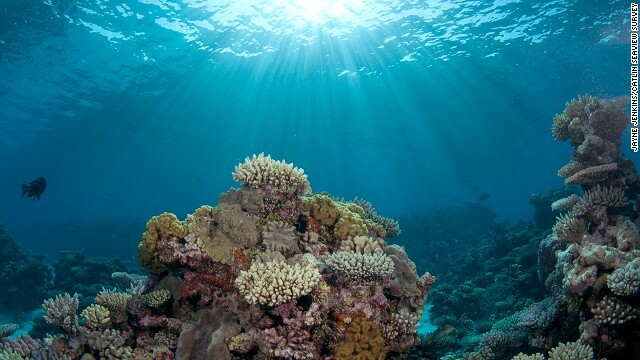 "The two worst things in my mind happening to oceans are global warming and ocean acidification," says O'Dor, "They're going to have terrible effects on coral reefs. Because of acidification essentially, the coral can't grow and it's going to dissolve away." The ocean has become 30% more acidic since the start of The Industrial Revolution in the 18th century and is predicted to be 150% more acidic by the end of this century, according to a UNESCO report published last year. "There's a coral reef off Norway that was discovered in 2007 and it's likely to be dead by 2020," says O'Dor. "The problem is that the acidification is worse near the Poles because low temperature water dissolves more acid. Starting from the Pole and working south these reefs are going to suffer extensively." Current estimates suggest 30% of coral reefs will be endangered by 2050, says O'Dor, because of the effects of ocean acidification and global warming. Higher acidity also disrupts marine organisms' ability to grow, reproduce and respire. The Census of Marine Life reported that phytoplankton, the microscopic plants producing most of the oxygen from the oceans, have been declining by around 1% a year since 1900. The falling numbers of smaller, but lesser known species and plant life has significant impact further up the marine food chain. For example, seabirds which used to visit and breed on Spitsbergen -- a Norwegian island near the Arctic -- are being wiped out because of changes in their previously abundant food sources. "There's a real lack of public and political awareness of these issues," says Alex Rogers, professor of conservation biology at the UK's Oxford University. "They're too big to understand in economic terms. We can put a value on the loss of fishing, but how can we put a value on oxygen production or the absorption of carbon dioxide?" he says. The problem is that most of the world's ocean is located outside of international law and legal control. Any attempts to implement rules and regulation come with the problem of enforcement, says Rogers, who is also scientific director of the International Program on State of the Ocean (IPSO). Marine conservationists estimate that at least 30% of the oceans need to be covered by marine protected areas, where fishing and the newly emerging deep-sea mining of valuable minerals on the seabed, is banned or restricted. Callum Roberts, who helped form the first network of marine protected areas in the high seas in 2010, says on their own they are not enough. "I could sum it up as: we need to fish less and in less destructive measures, waste less, pollute less and protect more," says Roberts. "This change of course will see us rebuild the abundance, variety and vitality of life in the sea which will give the oceans the resilience they need to weather the difficult times ahead. Without such action, our future is bleak." More than two million people are dying every year from the effects of outdoor air pollution, according to a new study. What's better than fresh, locally grown fruits and vegetables? How about fresh, locally-grown, free fruits and vegetables, all within an easy walk of your home or office? Living amid the garbage-strewn sewage canals, residents of Haiti's Cite Soleil endure a grim battle for survival every single day. Can smallholder farming end poverty? In just 12 years Vietnam cut the country's malnutrition rate in half by investing in small scale farming. Now other countries are following suit. We're all familiar with the phrase "waste not, want not," but how well are we applying these words today? Take a look into CNN Special Correspondent Philippe Costeau's photo diary of how Haiti can break a vicious cycle of deforestation. Philippe Cousteau recalls his grandfather's advice and asks how you'd like to look at the ocean in 10 years' time -- with regret or awe. We need to rebuild the ocean's abundance, variety and vitality. Without such action, our own future is bleak, say marine scientists. Getting water to every person on the planet can and should be done by 2030, argues WaterAid's Chief Executive Barbara Frost. Oceans cover more than two-thirds of our planet producing half of the oxygen we breathe and helping regulate our climate. Global warming has propelled Earth's climate from one of its coldest decades since the last ice age to one of its hottest -- in just one century. Dressed in a wet suit, air tanks on his back is an image of Jacques Cousteau most people would recognize. But he was also an inventive genius.